Back in December, we realized our supply would run out quicker than anticipated since we were distributing 100 books a week on average. So at the start of 2012, we put brakes on marketing and promoting Giving Back while we scrambled to devise a plan to print at least another 1500 books. I find it ironic that reaching sold-out status in just months is largely attributed to our not selling out the original vision for the book. It should be noted that the term sellout—as in a betrayal of principles—is one I generally choose to steer clear of. I don’t indulge in second-guessing the motives behind somebody else’s artistic decisions, but I will refer to the term here while reflecting on my own creative experience. Without benefit of a famous author or a celebrity foreword contributor or well-known faces in portrait or rich-people stories or a corporate marketing machine or even a commercial publishing deal, Giving Back has nonetheless stirred interest among readers and sold out quickly. Remarkable sums up what we’ve accomplished. The collective “we” in this instance comprises Charles Thomas and me, members of NGAAP-Charlotte, Casajulie, Buppy Hipster PR and our sponsoring partners, project participants, donors, family, friends and, of course, book buyers. I credit the book’s promising start to an uncompromising stance on compiling stories we knew were worth telling and a dogged pursuit of our vision. During my 1621-day push to produce Giving Back, every day seemed to hand deliver a temptation to narrow my scope, drop expectations, clip corners…or to just cut myself some slack. Those options certainly looked the easiest and less painful. Actually quitting appeared the sanest choice of all. Despite the pressure, existential struggle and odds, I chose, or better still, surrendered to that which my soul seemed intent to seek. Gifts that come at inopportune times are still gifts. The mixed fortune of conceiving Giving Back carried an obligation to see it through without underestimating its value. The experience, though brutal as it was at times, showed me how humility, hard work and the hand of a higher source can transform the ethereal into the real. At first sight of the final, hardcover version, my soul sighed and smiled in satisfaction. Giving Back is the perfect manifestation of a beautiful idea gifted to me years prior and stands as a tangible affirmation of my and others’ stewardship. 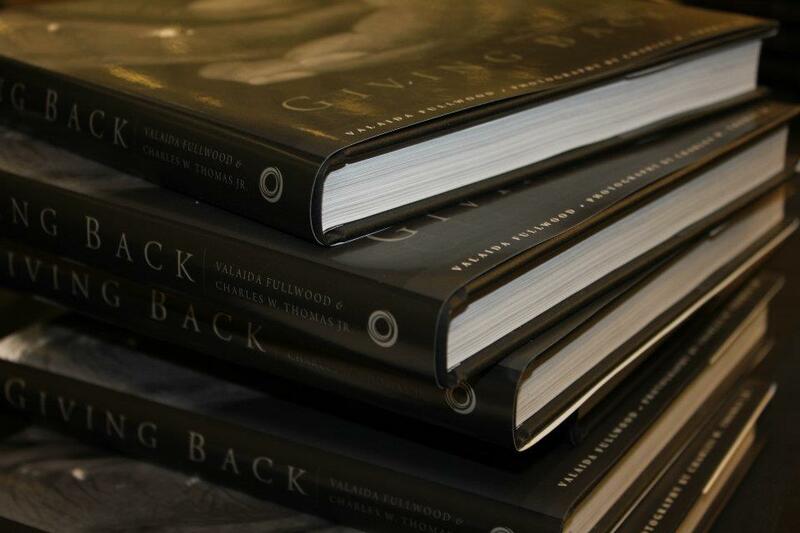 Truths revealed on the pages of Giving Back are key to it becoming sold out. I gave my best to usher the content into the spotlight and, once there, humanity undeniably shone through the portraits and stories. I cannot sell the idea that publishing a book and pursuing your passions are easy. From the start, my plan lay clear but the path was not. My circumstances while navigating the book’s development swung between circus and chaos. Tight-wire walker, trapeze flyer, lion tamer, fire-eater, juggler and ringmaster, I took on an endless stream of roles for nearly five years to get this book done and eventually did it. This entry was posted in Book, gifts, Giving Back, Thoughts and tagged book, gifts, Giving Back, John F. Blair Publisher, thoughts by valaida. Bookmark the permalink. Mazel Tov on your accomplishment! Your book sits on my coffee table and I love explaining how it got there. 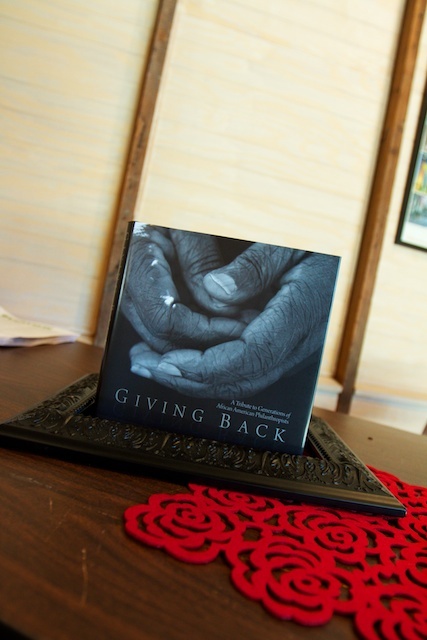 My experiences with Community Investment Network (CIN) over the last six years and the knowledge gained by my participation in a giving circle spurred me to write a book. 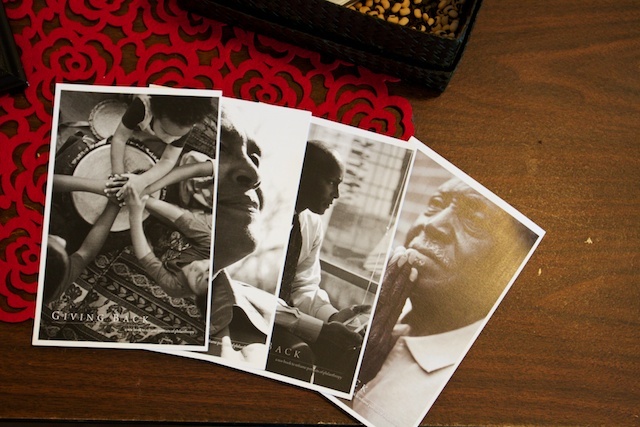 A good share of the stories, images and quotes from the book “Giving Back” highlight CIN’s impact on communities and in the lives of recipients…and givers. While you might not write book, who knows what you’ll be inspired to do and how you’ll do your part to change the world. Become a part of CIN’s NEW PHILANTHROPY movement…where you never have to go at it alone!